SPRINGFIELD—Senator Bill Cunningham is pushing for a measure that would ensure local police departments are held accountable when it comes to sexual assault kits. 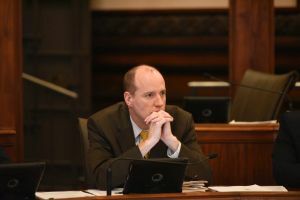 The legislation, Senate Bill 2221, would require that if the local police department did not follow up on the positive match, then the proper state’s attorney would be notified by the state police. It would also require that an inventory be taken both at the state police and the local police departments of all DNA kits in their possession. According to the Cook County Sherriff’s Office, several law enforcement agencies still have untested sexual assault kits or cases that have not yet been pursued even though a potential DNA match has been found. Recently, the Village of Robbins was alerted to a positive match on a DNA test kit yet the police department did not follow up with that positive match. 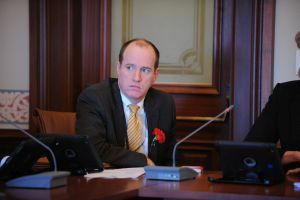 The Senate Criminal Law committee passed the legislation without objection. It now moves to the full Senate for consideration. 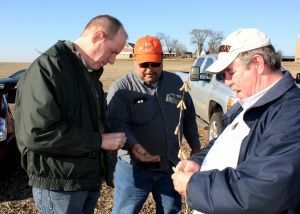 SPRINGFIELD—Students looking to get into agriculture could be without the necessary educational opportunities to spring them forward in the industry. 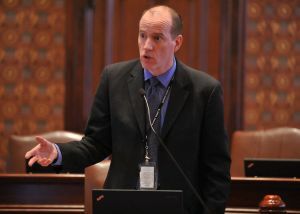 SPRINGFIELD—On Wednesday, Senator Bill Cunningham urged his colleagues on the Higher Education Committee to pass legislation that would reform the financial practices surrounding how higher education administration is compensated. The reforms were launched after a report revealed inappropriate financial practices occurring at institutions of higher education, including the recent scandal at the College of DuPage. The legislative package would institute multiple new reforms on both state universities and community colleges. It would require more transparency in the hiring process for executives by requiring the contract to be disclosed in a public meeting. There is also legislation that would ban the use of taxpayer and tuition dollars to fund bonuses that go to college presidents. Another bill will forbid the use of car and housing allowances being from added to one’s salary to ensure a higher pension. Cunningham’s reform package, Senate Bills 2155-2159 and 2174, passed out of committee and is scheduled to be voted on later this spring. SPRINGFIELD—Senator Bill Cunningham voted on Wednesday to override the governor’s veto of Senate Bill 2043, which would fund MAP grants and send money to community colleges.